Dr.Hanish Babu, MD is an Indian Dermatologist & Venereologist practicing in Ajman & Sharjah, UAE since 1996. Dr.Hanish Babu Started his medicine practice in 1983 in India, first as a general physician and then as a specialist dermatologist since 1989. He worked as a general physician among the poor tribals of Wayanad in the southern Indian state of Kerala from 1983 to 1989. As a dermatologist, Dr.Babu has come across all forms of skin diseases in his busy practice. His patients belong to all nationalities and cultures. He is an avid educator and spends quality time with his patients both in his consultancy and during the group therapy sessions he conducts for psychodermatoses like psoriasis, urticaria, eczema, neurodermatitis etc. 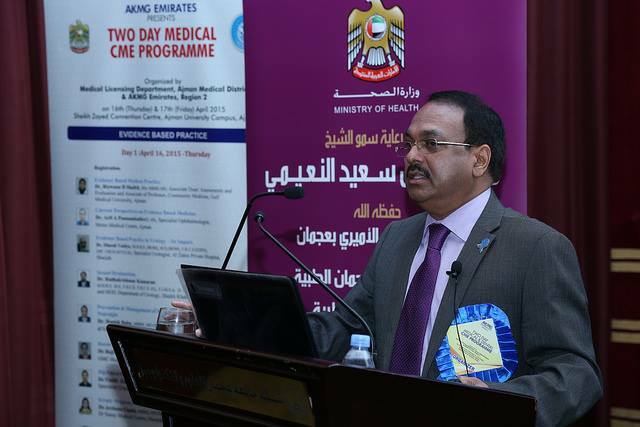 He is also a well sought after speaker in the Continuing Medical Education programs for doctors and other healthcare professionals in UAE and abroad. 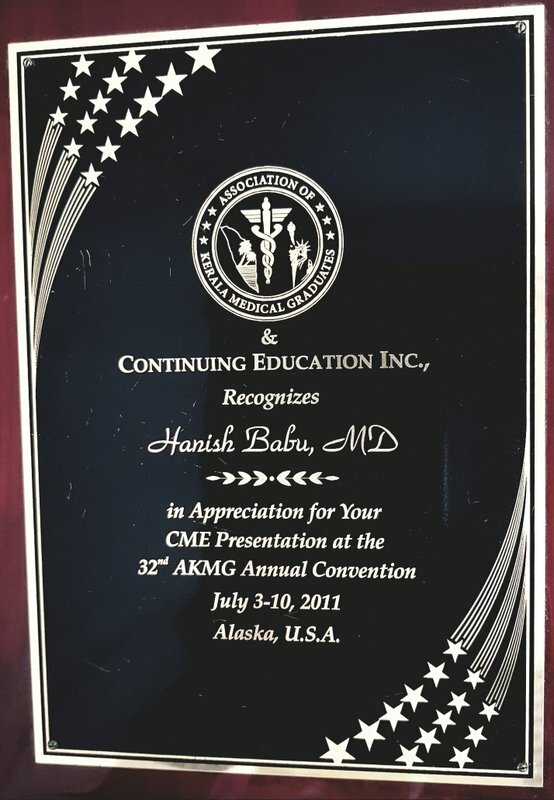 Click Here for a list of Important Talks Dr Hanish Babu has delivered. He is also active in many social and professional organizations and is at present the President of AKMG Emirates, the Association of Kerala Medical and Dental Graduates, working in the UAE, formed in 2003 by the AKMG US. Dr.Hanish Babu, MD, is at present practicing in City Medical Centre, Ajman, UAE (Evening) and Cosmolaser Medical Centre, Samnan, Sharjah (Morning). He is available for consultation on all Days of the week except Fridays. Outpatient Consultation and Treatment on all Skin Diseases and Sexually Transmitted Diseases. Electrocautery, chemical cautery and Cryo-surgery for Skin Growths, Warts etc. Stress Management Seminars for psoriasis and patients suffering from other psychodermatoses. Contact: 06-7441882 (Ajman) / 06-5678200 (Sharjah) for an appointment or Book an Appointment below.